United Nations Environment Programme (UNEP) is the voice for the environment within the United Nations system. UNEP acts as a catalyst, advocate, educator and facilitator to promote the wise use and sustainable development of the global environment. UNEP’s work encompasses of assessing global, regional and national environmental conditions and trends; developing international and national environmental instruments; and strengthening institutions for the wise management of the environment. 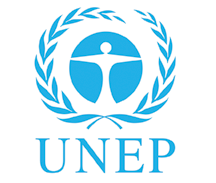 UNEP has a long history of contributing towards the development and implementation of environmental law through its normative work or through the facilitation of intergovernmental platforms for the development of multilateral environmental agreements, principles and guidelines that are aimed at addressing global environmental challenges. The 4th Montevideo Programme for the Development and Periodic Review of Environmental Law, adopted by Member States in 2009, forms a broad strategy for the international legal community and UNEP in formulating the activities in the field of environmental law for the decade until 2020. Following the 1st UNEP World Congress on Justice, Governance and Law for Environmental Sustainability, held in 2012, Member states called upon UNEP to lead the United Nations System and support national governments in the development and implementation of environmental rule of law (UNEP/GC.27/9). Led by its Division of Environmental Law and Conventions, UNEP engages in events and activities aimed at developing and enhancing environmental rule of law, including the progressive development of environmental law, protecting human rights and the environment, addressing environmental crimes, enhancing access to justice in environmental matters, and general capacity building for relevant stakeholders.